For the past week, JSL has been a bit grumpy. It all started on my birthday. As part of my birthday gifts, B and the boys got me a sonic screwdriver. JSL decided that he loved it so much that he wanted one of his own. Only, he wanted the tenth Doctor’s sonic screwdriver. Not the eleventh like I had. At every opportunity, he’d remind us about his desire for his own sonic. Every store we went to, he would inquire whether or not they carried Doctor Who merchandise. If they did, he would complain loudly about how he wanted a sonic screwdriver SO MUCH! I really felt for my little Whovian. The geek in me wanted to buy him a sonic screwdriver – or at least let him use some of his saved up gift card money to buy one. The parent in me, however, knew how this would proceed. 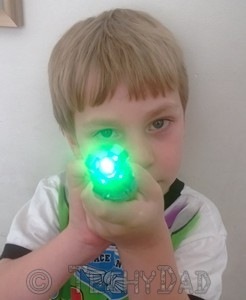 He would play with the sonic screwdriver for a few days – a week tops – and then it would get dropped in the heap of toys that he ignores when he complains about how bored he is. JSL did not take this shopping trip well. Here we were standing in a store with loads of Doctor Who items and I was steadfastly refusing to buy him anything. What’s more, I was adding insult to injury by implying that we might buy multiple things for NHL. What a horrible dad I am! JSL was in such a horrid mood that we went home immediately and he got sent to his room to calm down. After awhile, we thought that perhaps an outdoor activity was warranted. After all, it was sunny and warm out. Summer doesn’t last forever and we need to take advantage of these warm days while we can. So we went to a local spray grounds. A magical transformation occurred as we headed out. 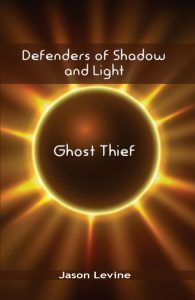 Gone was Grumpy JSL and in his place was Happy JSL. 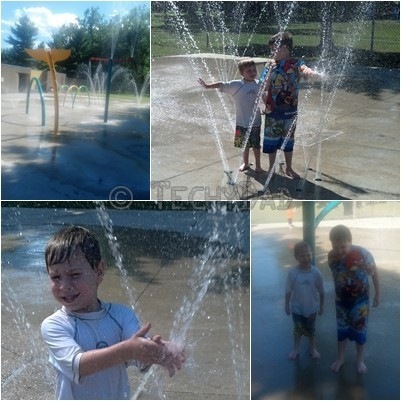 The boys splashed, ran, and had a massive amount of fun. I only found myself wishing that they would be so enthusiastic about water pouring over their heads when they were in the shower as when they were at the spray grounds. Sadly, spray ground fun can’t last forever and we did head home. Even more sadly, the spray ground high didn’t last. Soon enough, Grumpy Whovian JSL was back bemoaning his lack of a sonic screwdriver. At this point, I’m thinking that I need to look through Pinterest for make-your-own sonic screwdriver ideas. Perhaps modeling clay with sparkles (for the "light") or something similar. Sure, it won’t look exactly like the show’s, it won’t light up, and it won’t make sounds. However, it also won’t need batteries and will be something they make themselves. This might make it even more special to them. We might wind up gathering around the TV for the next episode of Doctor Who with all of our sonic screwdrivers in hand.